Whether you’re strictly a weightlifter, a CrossFitter or an average gym go’er getting after the dumbbells your shoulders often take a beating. 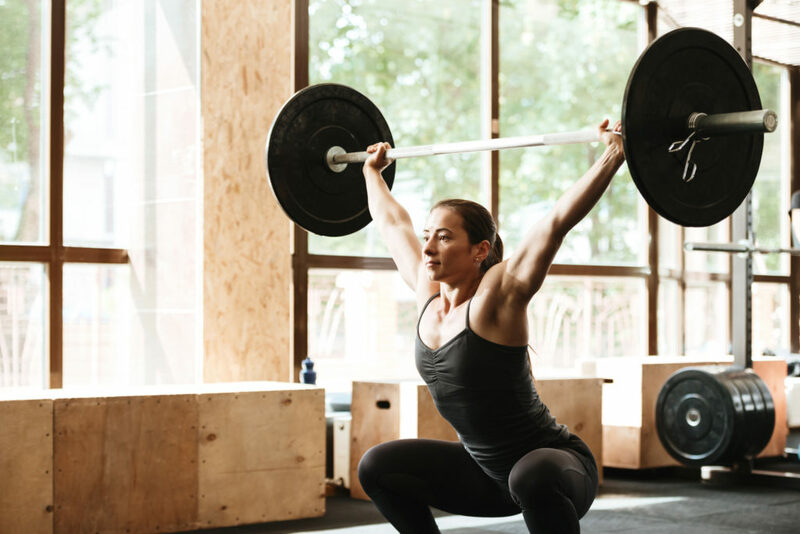 There’s a lot of stress involved going overhead and dynamically pushing and pulling big weight or max reps (and, for CrossFitters, there’s extra mileage on your joints for all that kipping). It can be tempting to just lay off the weights or scale your workout when your shoulder gets wonky and things start to flare up. 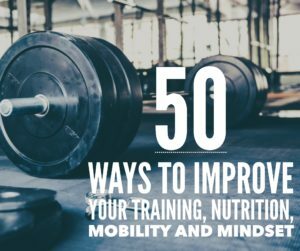 But, chances are your problem stems from stability and imbalances and –if you’re not actively in pain– adding in these three moves could go a long way in keeping your shoulders injury free. Stretching and mobility is great. But having stability and working the shoulder equally from all ranges of motion is how you really bulletproof them and permanently get out of pain! You can work these movements in as part of your warm-up and stick with two sets of 8-10 reps at a manageable weight. If you want to push it, save them for accessory at the end and choose a challenging load that will have you go 12-15 reps and be close to failure on the last rep.
Do this 2-3 times a week, make sure you’re giving your rotator cuffs some love, and you’ll be amazed with how much stronger –and more stable!– your shoulders are. These are particularly important as they represent a HUGE hole in CrossFit: horizontal pulling. Strengthen your shoulder girdle (and hang from the bar pain free) by adding in more horizontal pulling. Single arm stuff is best, so you can sub with regular dumbbell rows if this variation is too hard. Yet another reason why people need to do more ring rows. This is one of our all-time favorites. There’s not a lifter who wouldn’t benefit from doing landline press. The key here is to control the movement the whole way. Keep the weight light and check your ego. There's no actual science here but doesn't it seem like the simplest looking movements are always sneaky sucky? Such as landmine press. . For anyone who goes overhead regularly (CrossFitters, Olympic lifters) or those who are consistently using a downward rotation of the shoulder blades to bench (Powerlifters, regular gym goers) the landmine press helps drive upward rotation of the shoulder blade, which is critical to long-term joint health. . POINTS OF PEFORMANCE 1. Stay neutral in your back and don’t overextend. Squeeze hard to keep posture as you drive up with control like @rackstarcrossfit. 2. Make sure there’s a little bit of a gap between your elbow and side. Start the bar right around the front of your shoulder. Don’t keep it too close and limit your range of motion. 3. When you press, think about a slight lean into the bar. This is really important to get your momentum going forward. It prevents you from overextending your back and also gives you that good upward rotation. We’ve mentioned this gem of a movement before and with good reason. It will not only help your shoulder health, it challenges your midline and works your hips and glutes. Mobility and stability all in one move. You can go as heavy as you can maintain good form here. These are also awesome to do on an active recovery day. This one is really advanced –working your midline and hips– and you may have to stretch your hip flexors pretty good before getting into it. The preference here would be to do single arm presses to help even out any imbalances you may have. Sit up straight and don’t cheat! The set is over when you can’t maintain an upright torso. Start super light. This can also be done with dumbbells.